DISNEY IS TAKING CARE OF DISNEY, BUT I TAKE CARE OF YOU! I constantly monitor every single offer and I work hard to get you the best deal possible long after you’ve made your deposit, up until the day of your trip! Disney is not looking out for your wallet but I do! ALL MY SERVICES ARE FREE!!! It doesn’t cost you one penny more to book through me than it does for you to book directly with Disney. THE REAL WORK BEGINS ONCE THE RESORT IS BOOKED AND THAT CAN BE OVERWHELMING! 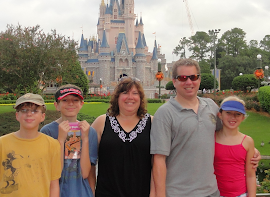 Besides helping you decide on the perfect resort for your family and budget, I will figure out which parks for which days based on crowd expectations, I will make dining reservations at the restaurants that pack the most fun, I’ll book special experiences such as the Bibbidi Bobbidi Boutique and help you with every aspect of your trip. I’ve personally experienced just about every resort and restaurant and I can create a magical plan customized for your family. ARE YOU A DISNEY PRO TOO? Great!! I bet you’ve got some tips of your own to share and visa versa! You don’t need my guidance but let me do all that tedious stuff for you… like getting up early and speed dialing in hopes of landing that hard-to-get dining reservation! I’m like your personal Disney Assistant doing the work you don’t want to but letting you handle whatever you find fun! And I’ll make sure you don’t miss out on a single money-saving offer! YOU DON’T HAVE TO DO THE RESEARCH! I’ve made at least 3 visits a year for more than 18 years - as a couple, pregnant, with infants, toddlers, kids, tweens, teens and senior citizens. As a mom of three, I love Disney and I will share my knowledge of how to experience all the magic without needing a vacation from your vacation! YOU’VE SEEN THE MAGICBANDS BUT HOW DO THEY WORK? I take you step by step through the new My Disney Experience program making sure you are comfortable with all your Fastpass+ selections weeks before you arrive. AN EXCLUSIVE GIFT FOR MY CLIENTS ONLY! You’ll receive my personal 36 page guidebook to the Walt Disney World attractions.! It contains my summary of the attractions and rides plus hints, tips, touring ideas and more. For those new to the World, it’s invaluable. For those seasoned guests, it’s a very fun keepsake that just might offer a new perspective. I PROVIDE PERSONALIZED SERVICE! For 10 years I’ve been very successfully planning trips for families heading to Disney World and no two trips have ever been the same. I listen to you and how your family likes to vacation. I listen to your interests and favorite Disney characters and movies. I listen so that I can create the most magical vacation plans for your family, not mine. And when that much anticipated day comes when you are off to visit Mickey, I will share in your excitement and I’ll know you are set to experience incredible magical moments with the people you love! I CAN ONLY PROVIDE MY PERSONALIZED SERVICES WHEN YOU MAKE YOUR DEPOSIT THROUGH ME! As an Authorized Disney Vacation Planner, I am paid a small commission by Disney so the only way I can work for you is to book your Disney resort. LET’S MAKE THE MAGIC HAPPEN TOGETHER! !